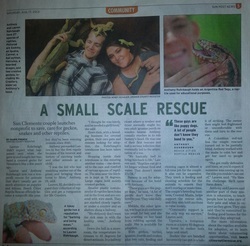 BCRR Was In The Local Newspaper! As a result of our work with the local community, BCRR was interviewed by a local newspaper regarding the rescue and what its all about! Click the picture to see the complete article!